Description: Join The Makers at Union Square Aberdeen from Thursday 4th until Sunday 7th October. We’re bringing you the very best in handmade goods from the best makers selling everything from art, candles, jewellery, accessories, modern home decor and much much more! Description: Drum Castle is the stunning backdrop for an exciting Autumn Food and Craft Festival. Artists and crafters will be demonstrating their skills and wares throughout the entire castle. In the courtyard and brewhouse there is a food fair with gorgeous foods and beverages just waiting to be sampled and bought. Sumptuous foods, beautiful and unique crafts, local musicians together with one of the most stunning walled gardens ever makes this an event too good to miss. Description:We are delighted to announce that the Aberdeen Roughnecks Youth & Junior programmes are coming back. Starting with our October Holiday weekend camps, every Saturday of the holidays! Running from 10am until 12 noon at The Rig (where the senior team plays their games), we are excited to have you guys along and can’t wait to develop the next generation of Roughnecks! Description: Fantastic news, the George Street Farmers’ Market and Sustainability Festival was such a great success we can announce that there will be a Farmers’ Market on the 1st Saturday of every month (not in January) and every quarter the Farmers’ Market will include a Sustainability Festival,with 3rd sector groups hosting information stands promoting sustainability. Description: Baby, kids clothes up to age 10/11. Maternity wear. Baby, nursery equipment. Toys, books DVD. Come and chat to some climate change experts from different local organisations to find out more. Description: We are a FREE entry event and from the 1st of September 2018 we are changing venue!! Held on first Saturday of the month upstairs in The Coffee House, Aberdeen, AB10 1JF, just round the corner from Belmont Street. Our monthly indoor arts & crafts market has over 20 stalls. Discover unique design led handmade products sold directly by the makers. It is a friendly and relaxed market and showcases an eclectic mix of artists and makers from the local area and with new makers and crafters every month, there will always be something new to see. Description: We are hosting our annual main fundraising jumble sale at the Scout Hut on Saturday 6th October. A selection of bric-a-brac, toys and games, household items and much more will be available to buy. We will also have a bottle and sweetie stalls – with all proceeds going to the 27th Aberdeen Scout Group. Admission is £1 for adults and kids go free. Description: Come along and groom one of our ponies here at Belwade Farm. Learn some of the different brushes and what they are used for. £6 per adult, £4 per child tickets can be purchased by following the ticketing link. Description: Its time for another SK8 Date Aberdeen! Saturday 6-10-18 at the brilliant Beach Leisure Centre. Skates for hire and fab music to SK8 to. Make memories and learn something new together, family fun and giggles guaranteed! 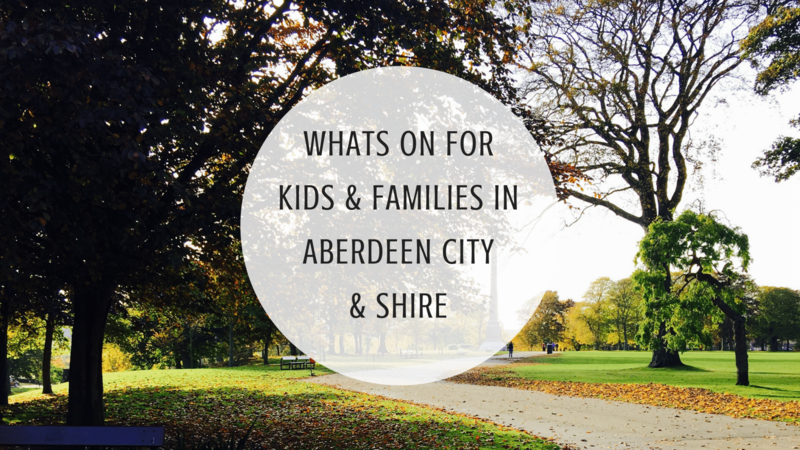 Get your skates on Aberdeen…Let’s Roll! Description: WrestleZone return to Balmedie Leisure Centre for another night of family-friendly wrestling action on Saturday October 6th! Scheduled to appear are Balmedie’s-own Chris Archer together with stars such as Crusher Craib, Scotty Swift, Damien and more. Tickets are priced £12 for adults and £10 for under 14s, while we have a special family ticket for two adults and two children for just £35. Doors at the Centre open at 7pm with the first bell at 7.30pm. Description: Get hands on with some of the techniques and equipment used by forensic scientists as they analyse evidence found at crime scenes. Using digital microscopes, chromatography and fibre analysis you’ll get the real CSI experience. With forensic workshops and science shows throughout this theme there is something for everyone. Description: Come along to Aberdeen Science Centre and learn about the challenges and dangers faced by astronauts getting to, living and working in Space. You can test your programming skills at our robolab workshop, construct a rocket to take flight in our rocket building challenge and have a go at controlling a robot arm like an International Space station astronaut. You can also try your hand at programming robots and guide them to safety on our lunar landscape. We have lots of exciting activities and workshops for the whole family to take part in, did we mention that its FREE?! Description: **Bouncy Castle ** Facepainting ** Balloon Modelling ** Games &amp; Fun activities for kids ** Craft Stalls ** Local Traders** and lots more. Description: Following the amazing response to a new traction engine event at the museum last October and by popular demand we are pleased to announce that the Bon Accord Steam Engine Club and the Grampian Transport Museum have teamed up again to stage Steam@Alford. A real steam party with local and visiting engines giving rides, demonstrations and arena activities. Description: Benji the Playbus is coming to Aberdeenshire – Play, Talk, Read sessions available. 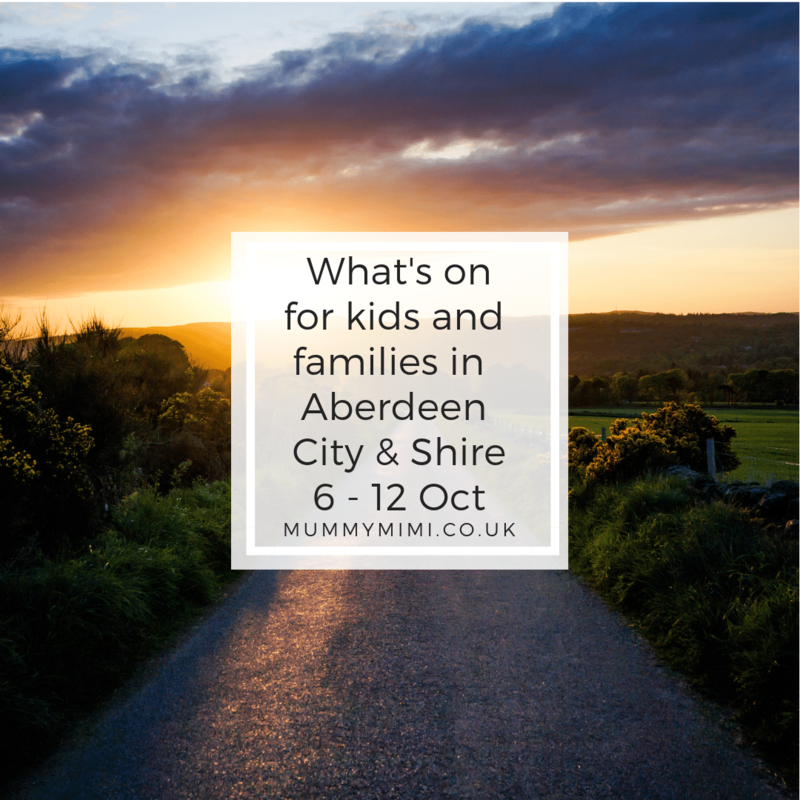 See event Facebook event page for further details on times and locations throughout Aberdeenshire. Description: We hope to see you all soon so you can come join in with all the messy fun! All sessions are from 10am-11am, however please arrive 15 minutes early for sign in. £5.50 per child / £3.50 per sibling/friend when booked with a full paying child, per session. Only £30/£50 when booking all 6 sessions. Book via commenting below or private messaging us.